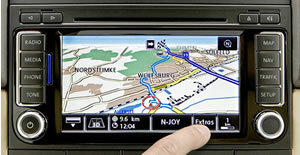 Compatible with all Volkswagen vehicles with navigations RNS315, RNS510, RNS810 (all with min. Version B with SW: 1100). 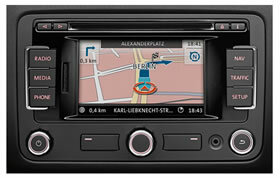 Also monitor style radios RCD510 WITH 26-Pin connector on the rear of the head-unit. 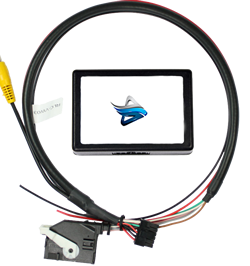 * Additionally the head-unit (Minimum Version B with SW: 1100) must be coded for reverse camera. 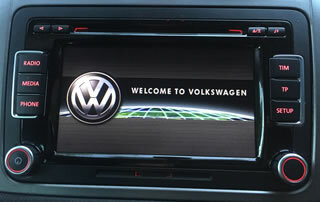 On vehicles with OPS (optical parking system) the OPS control box must also be coded for reverse camera.